He made the call some minutes ago at the corporate head office of The Sun Newspapers during his official visit Friday. 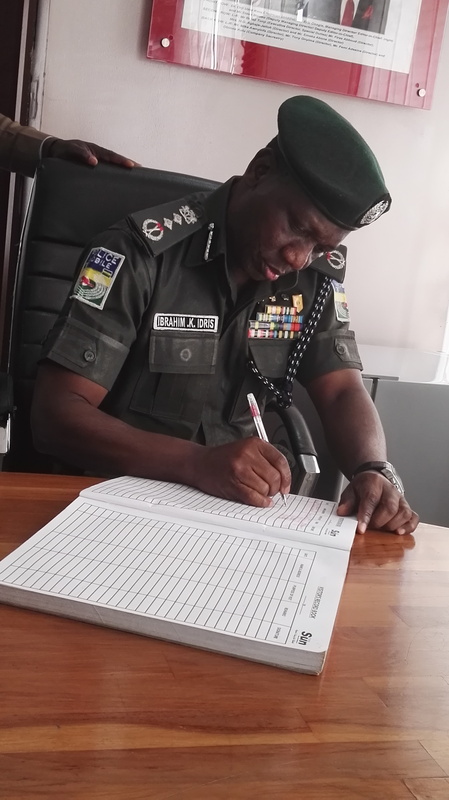 During an interaction with the management of the media house, Idris stated that with an intention to create a police with better welfare-orientation and that would also be adequately equipped, there is every need for the police to be properly funded and the planned Fund would be the easiest way to actualize the dream. He said such fund would be an adequate avenue to better cater to the need of the officers and also equip the police in a world where crime prevention and control has become more complicated and requires adequate modern facilities. During the opening remarks of the Managing Director and Editor-in-Chief of The Sun, Mr. Eric Osagie, he assured the chief cop that The Sun would be counted on by the Police as a reliable partner in the quest so far as he is convinced that actualizing such plan would make the services of the police better and keep the nation safer. While commending his efforts in modernizing and injecting fresh zeal into the police, Osagie also pledged the support of The Sun for the IGP and the police under his watch. He also urged him to see The Sun as a key partner of the police and count on the organization in its plans and partnerships for awareness on the policies and programmes of the system even beyond the PTF actualization.